Bruschi has always been receptive of the advantages offered by mechanization and automation in the production line. In the contemporary era, investing in robotics and 4.0 Industry becomes a primary necessity. 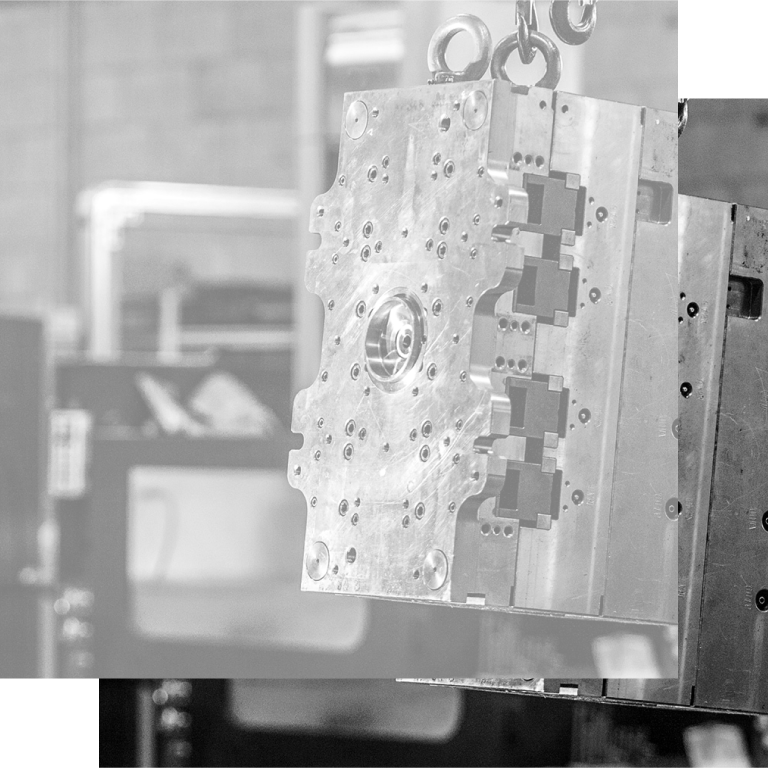 That is why Bruschi Mechanics was born: a subsidiary of Bruschi dedicated to machining operation and assembly of components. In this department complex machineries are designed and built: apparatuses capable of performing high precision machining in line with the casting machine, enabling a optimization of cycle time and therefore allowing us to grant our clients clean components, with no need of further processing. Bruschi Mechanics, in close collaboration with Bruschi Engineering department, design and develops special projects based on our clients’ requests. Some practical examples of these projects are displayed below: these two machines were conceived for important costumers in automotive and white-good industries, and were completely designed and built by Mechanics in order to perform precise processing and assembly. Bruschi Mechanics designed and produced a machine able to do automatic secondary operations, in particular a double threading with quality check included. This quality control is obtained by checking a couple applied to the tapping of the component: if the effective tolerance does not match the expected one, the machine will indicate an error status. Other errors that can be spotted and automatically signalized are a broken or malfunctioning tapping head or quality defects in the casted piece. Once the control is over, the machine separates the products between conform and not-conformed, making the selection of the products quicker and thus allowing for a better customer service.